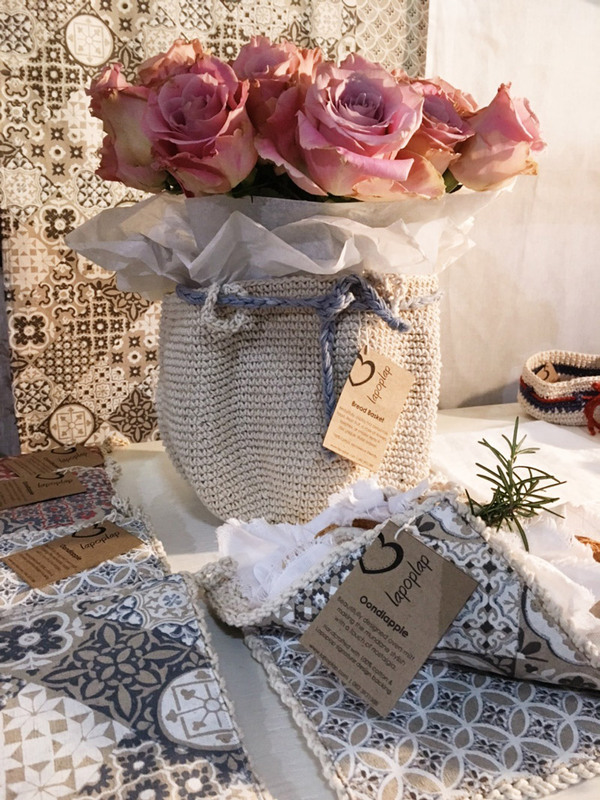 Lapoplap's original hand crocheted baskets, with an added drawstring. Beautifully display bread rolls, toast, fresh fruit, a vase of flowers or pot plant, toiletries, or smaller items in this unique, stylish basket. Use as a centrepiece in your table decor or to organise and brighten that special corner. Keep bread warm on your table and easily pop them in the microwave bread-and-all to heat as necessary. 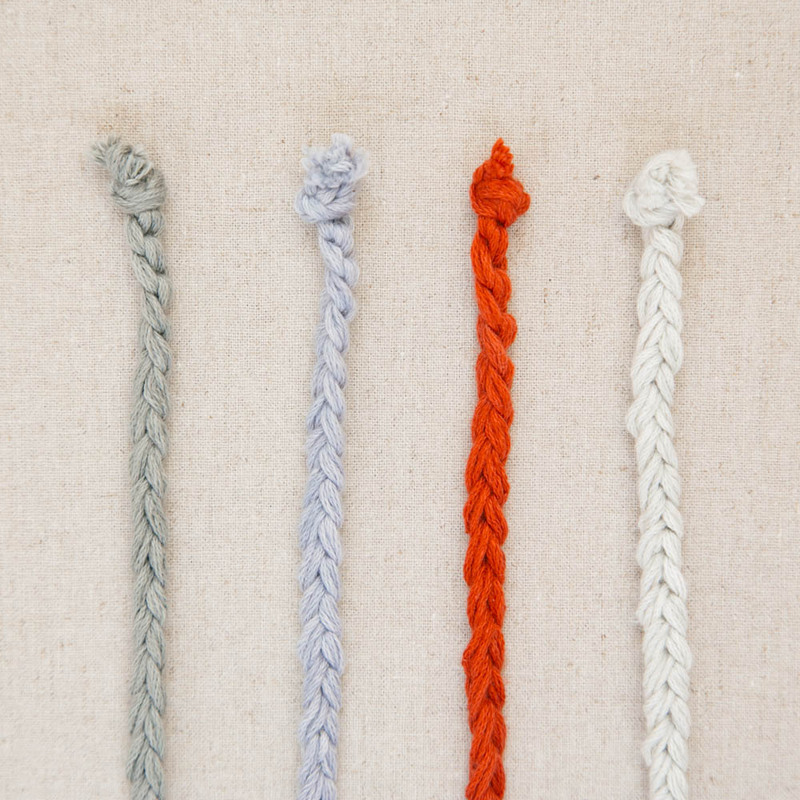 Drawstrings in various colours add a unique and practical touch, easily closing your basket around fresh bread or a beautiful pot plant. 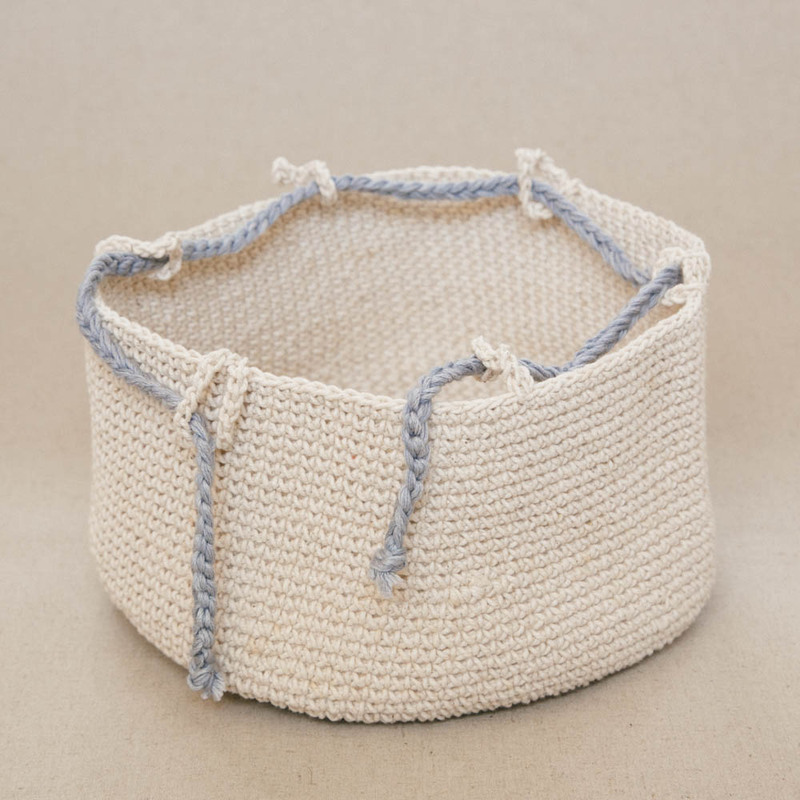 Notify me when Basket with Blue Grey String Crocheted Basket With Drawstring is available.